When it comes to full-size luxury sedans, there are few options that offer the balance of performance, efficiency, style, features, and competitive pricing like a used Acura RLX. Most luxury sedans are focused on outdoing the competition in one particular area, such as raw performance or outrageous features. It’s this lack of attention to the pure fundamentals of what makes a great luxury car great in the first place that has allowed the RLX to become a quality standout in the luxury sedan segment. With its available 377-hp Sport Hybrid SH-AWD model, the RLX is breaking new ground and making buyers rethink the concept of a hybrid vehicle. No longer do you have to sacrifice power to gain efficiency, or pay an extremely high premium for a hybrid model. And with a simple menu of options, that don’t cost an arm and a leg, the RLX is a true value purchase in the luxury sedan segment. It may be a luxury car, but you’re paying not paying for a logo or name, you’re paying for quality. At our Acura dealer in NH, Sunnyside offers a world-class customer experience to match incredible Acura vehicles, like the RLX. To learn more about this amazing vehicle, keep reading. If you’re interested in browsing our inventory in Nashua, NH, click the button below. Combine reliability with its reputation incredible resale value retention and low cost of ownership, and the RLX becomes one of the best luxury sedan options out there. Premium audio, navigation system, and advanced safety features are all typically costly upgrades. But these come standard on the new RLX, along with a number of other incredible features! With the Advance Package upgrade, buyers get both heated/cooled front seats and heated rear seats. 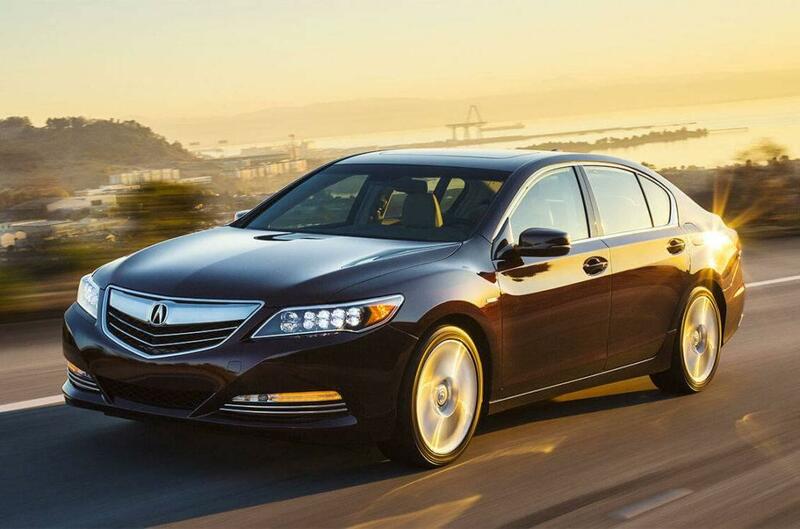 All passengers deserve comfort in the RLX! With its standard 3.5-liter V6 engine, drivers are able to access 310 horsepower and 272 lb-ft of torque. One of the RLX’s biggest competitors, the Lexus ES 350, comes standard with a 3.5-liter V6 as well. But that engine only produces 268 hp and 248 lb-ft of torque. This does allow the Lexus to have slightly better gas mileage; however, the Acura RLX includes Acura’s Precision All-Wheel Steer system, which provides fully independent rear steering. So while the RLX is a front-wheel drive car, the rear wheels can pivot with the front wheels to provide smoother transitions when making quick lane changes or sharp turns. This technology, especially in a full-size sedan, improves handling dynamics and provides better overall stability for safer driving. On top of its great standard drivetrain, the RLX offers a state-of-the-art hybrid system, called Sport Hybrid SH-AWD. This system utilizes a V6 engine as a main source of power, but has three electric motors (two up front and one in the rear) to help provide improved acceleration and low-end performance. This leads to a faster car with increased efficiency, especially during city driving. If you’ve purchased a luxury car from a brand other than Acura in the past, you may have noticed one huge issue: the price you see on manufacturer websites is a lie. The price you see is the standard price before features are added. This can often add up quickly with dozens of package and individual options in order to build the car you actually want to buy. With Acura vehicles, on the other hand, there’s not a million different configurations to choose from; just simple, easy to understand options. This is especially true with the RLX, which comes packed with standard features and offers only one optional package upgrade to discuss with a New Hampshire Acura dealer. The RLX also includes a suite of safety features that typically come packaged for an added cost on most luxury sedans. These features include blind spot monitoring, collision mitigation braking, adaptive cruise control, lane keep assist, and even road departure mitigation. There’s no going back and forth to configure the right set of features with Acura because you get them all upfront! The RLX’s lone package option is a must-have for buyers that want to add some truly amazing features to their new luxury car. And at only $6,000, the value of the overall package is absolutely undeniable! It all starts with the interior, where the front seats are upgraded to heated and ventilated seats, giving you comfort options all year long in New England! The driver also receives a heated steering wheel, which is perfect for cold days. And thanks to the remote start system added with the Advance package, you can start the cabin, seats, and steering wheel heated up before you even get in during cold winter mornings and evenings. Acura didn’t forget the backseat passengers, though. Alongside the RLX’s incredible legroom, buyers that elect to upgrade to the Advance package will get heated rear outboard seats and manual rear door sunshades. There’s even a power rear sunshade to help keep out intense sunlight and keep passengers comfortable. Finally, the Advance package offers added safety features to compliment the already-extensive suite that comes standard. First are the front and rear parking sensors that ensure you’re informed when a vehicle, person, or object is in your way while going forward or in reverse. 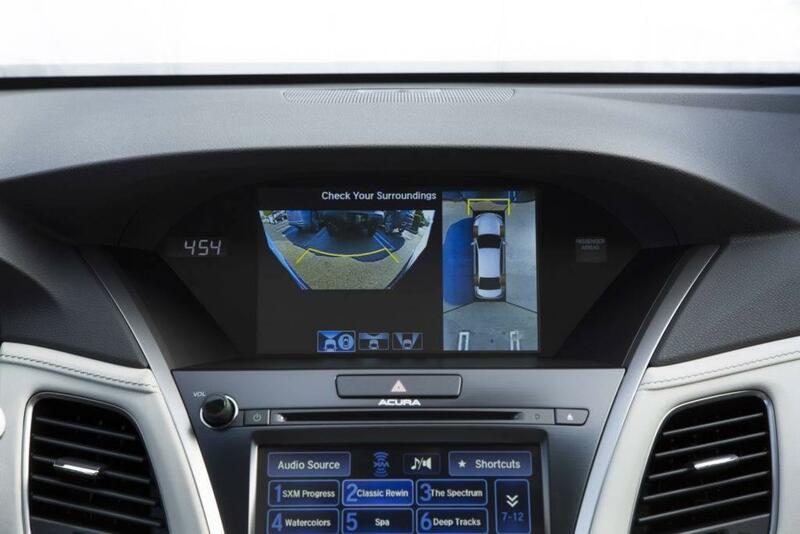 And one of the coolest features in the safety suite is the Surround-View Camera system, which provides a birds-eye view of your RLX for enhanced awareness in type of parking situation. 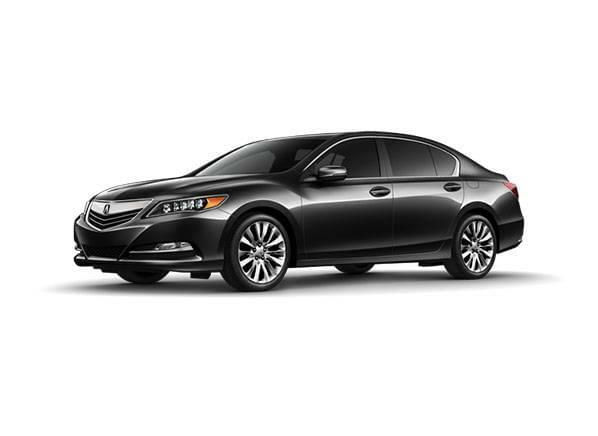 Choosing a used Acura RLX in NH is not a risky, bold decision that typically comes with luxury car buying. Instead, it’s seen as calculated move that will ensure you get a reliable luxury vehicle for a great price.Acura has made it extremely easy for car buyers to have their cake and eat it too. No more choosing the affordability of a non-luxury car over the perks and features of a luxury car. By choosing the Acura RLX, you’ll not only save money on your next car, but you’ll be in a car worth showing off to friends and family! To start your world-class car buying experience, browse Sunnyside’s inventory online and find a new RLX that fits your needs. For personalized help, feel free to contact us, or just stop by our convenient location at 482 Amherst Street in Nashua, just up the road from Nashua Community College. We look forward to earning your business!